Preaching Rocket Review - Can It Make You A Better Preacher? Welcome to my Preaching Rocket review! Firstly let me congratulate you for looking to improve your preaching skills! But is Preaching Rocket worth it or just a waste of time and money? That’s exactly what we’re going to get into in this 2,190 word Preaching Rocket review. Because as a Preaching Rocket member myself, I’m able to give you an honest insider’s perspective without the hype. We preach as a labour of love and yet so many preachers are, well, let’s say less effective than we could be. Preaching Rocket, although not perfect, is my top recommended training and community for anyone looking to seriously improve their preaching prep and delivery. You’re given the best tools, resources and support you need to become the best preacher you can be but it’s up to you to apply it. Preaching Rocket is a step-by-step 12 month preaching course created by The Rocket Company to equip you with the secrets, methods and systems used by the best preachers of our time. Preaching Rocket is also an online community of over 3,000 pastors all going through the training together, sharing ideas and getting feedback. The step-by-step coaching and community are designed to equip you with useful tools and simple systems to help take the stress out of sermon preparation. Within minutes of becoming a member an email will land in your inbox with your log in info so you can dive into the training and track your progress. Under the “Preaching Rocket” menu tab you’ll find the training modules. If like me you chose the monthly payment option you’ll get a new training module each month (12 in total) but if you choose the yearly option all the modules will be there at once. There’s interviews with people like Andy Stanley, Steven Furtick and Louie Giglio sharing in detail exactly how they plan and prepare their preaching. This gives you rare insight into the behind the scenes process the best preachers use. Honestly I think the training is excellent – they’ve clearly put a lot of thought into structuring the modules in a way where each lesson builds on the previous one. I love that you can start applying everything you learn right away because everything is hands-on and super practical. Alongside the core video coaching, each lesson comes with interviews, webinars, audio training, real-life examples and done-for-you worksheets. This is the reason Preaching Rocket is the best online preaching course I’ve ever taken – the creators have really gone out of their way not just to teach, but to equip. It’s not just useless head knowledge, it’s 100% actionable. 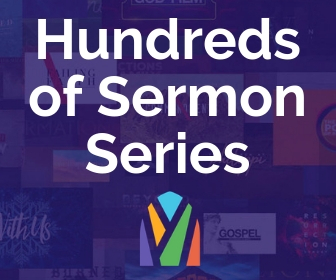 In module 2 they show you how to make your sermons memorable. One of the ways you achieve this is by coming up with a sticky statement that summarises your main point in a clear and succinct way. They teach you why this is so effective, walk you through how to craft a memorable bottom line, give you case studies and video examples of this being done well and give you a printable worksheet you can use to come up with your own. On top of that you can reach out to other pastors and preachers within the community and get feedback and constructive criticism to help you refine your ideas. As a Preaching Rocket member you get around the clock support and advice from fellow preachers and church leaders. You no longer have to struggle alone in the lonely world of preparing and preaching sermons – for me this is a real game-changer. Now you have a support system. Now you can ask questions and get answers. Seriously, what better way is there to improve the quality of your preaching than learning what’s worked for others, bouncing around sermon series ideas and getting feedback on your outlines? Who is Preaching Rocket For? So far, over 3,000 preachers and pastors like me and you have enrolled. Check out their testimonials here. The community is made up of a mix of both newbie and experienced preachers alike who have all seen dramatic improvements in their preaching as a direct result of applying what they’ve learned. Whatever your current skill level or experience, you’ll be given a the techniques and processes you can follow that will empower you to preach better, reduce the stress of writing sermons and connect better with your audience – if you’re willing to take action. How much is Preaching Rocket? Enrolling as a student of Preaching Rocket has been one of the best decisions I’ve ever made in developing myself as a communicator of the gospel. The truth is when you invest in yourself as a preacher, you benefit and the whole church benefits. This option gives you one lesson delivered each week for 12 weeks. The one-off payment gives you instant access to all 12 modules at a 17% discount and works out at $83 per month. If you have the budget, this option gives you all unlimited access to all the training modules at once at a lower rate. The key here is picking the option that works best for you and your budget. To be honest I think the value of the community alone is already worth more than the $99 a month membership fee. Let me know in the comments if you can find any other practical preaching course out there that comes with all the training, guides, handy worksheets and walk through tutorials plus the amazing, helpful community – because I’ve not been able to find one! While you work away on your sermons week after week, who is working on you? Before Preaching Rocket the only time I ever studied preaching was in a 2 week homiletics class at Bible school years ago. Most of us leave seminary, start working in the ministry and never develop our preaching skills ever again. I decided to invest in the Preaching Rocket membership because while I loved preaching, I hated preparing. I would watch other preachers for ideas, grab a quote or two but I had no idea of how to organise my ideas or structure my sermon outline. You’d always find me up late on Saturday nights after every one else had gone to bed still sweating over my talking points not feeling anywhere near ready. I can not emphasise this enough: This is not about gaining head knowledge and it’s way more than simply improving your preaching… it’s about giving you a proven step-by-step system to follow that takes the stress and long hours out of sermon prep. The community support is awesome – everyone’s super friendly and helpful and more than happy to answer your questions. The saying “Two heads are better than one” means that when people work together they are more likely to solve a problem than one person doing it alone. It’s the same with preaching. Many times I’ve had feedback on my sermon outline which meant I could make tweaks and make it even better. I’ve often had an idea for an upcoming sermon series idea for our church which was okay… but getting input and bouncing off of dozens of fellow preachers turned what was a mediocre idea to start with into a great idea. Preaching Rocket also has a 24/7 support team on standby to help you. And when I say 24/7, I mean it. I’ve tested it many many times. You can ask a question in live chat or send them an email and PR’s amazing support team always respond at most within 30 minutes. This is real help when you need it from real people. Do you need to train other preachers up in your church? This means you can take these teaching materials and go through them with your leadership teams. I’ve have taken a group through this training program and it works really well. Play the videos, print out the eBooks and handouts and it naturally leads to great group discussions. Is Preaching Rocket worth it? According to Andy Stanley, pastor of Northpoint Community Church, 90% of unchurched people choose a church based on the pastor’s preaching. As pastors, preaching is one of the most important things we do. We preach week in and week out and I think we put a lot of pressure on ourselves to come up with fresh powerful messages every Sunday. And if you’re like I was, it all gets left until the last minute. For me this just wasn’t good enough and I knew I had to change. I’ve got my Saturday’s back because instead of stumbling my way through trying to find a good sermon outline, I save time by following a set preaching system. When it comes to Sunday morning I’m refreshed and ready and can’t wait to get up there to share what God’s put on my heart! And I’m definitely preaching better and sharper. 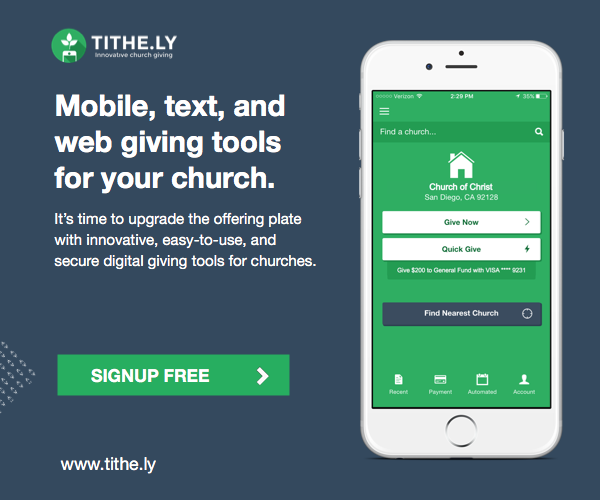 It’s a win-win all round – for me and the church. So if you’re asking is it worth it? In my experience, yes it is! No doubt! You do what you do because you love what you do. You’re always pouring into others but at what point do you ever invest into yourself? While you work on your sermons who is working on you? So it’s probably pretty obvious by now that we’re definitely onto a winner here! Preaching Rocket is the real deal. People started noticing a difference in the quality of my preaching within the first couple of weeks which says a lot! The learning modules are packed full of training from some of the best preachers of our time. The videos, audio files, eBooks and done-for-you resources equip you to be the best you can be and the help and support you get from the community is an absolute must-have. Which is why I have to give Preaching Rocket a 98 out of 100. What Preaching Rocket offers is unparalleled. That’s why they’re my #1 recommended preaching course and the best investment you can make in yourself as a communicator of God’s Word. If you’re serious about improving your preaching you should definitely give Preaching Rocket a shot. Trust me, you’ll be glad you did! Click on the button below to become a Preaching Rocket member and start the training. I’ll see you on the inside! This is very interesting and hoping to help in a new career I am planning to take this year. Hi and thanks for checking out my review of Preaching Rocket. This training course has definitely help me fine-tune how I prepare my sermons, it really does give you a practical step-by-step from people who know what they are talking about. Definitely worth it in my opinion! I have been a pastor for some time but money is the big problem. How can u help me. My church can’t afford. Hi Emmanuel, this is just my review of Preaching Rocket after being a member and taking all of the training. I don’t have any control over the course fee. I do realise the $99 per month for 12 months means this might not be accessible to everyone. If finances are an issue, a better option for you might be what’s called Preaching Rocket NEXT. Each month you’ll receive live video coaching and downloadable resources. It’s just simple help for $29 per month and with no minimum contract, so you can cancel anytime. I am Solomon and I am a new Preaching Rocket member. Just starting module 1 and I am much impressed. Thank You. Glad you’re enjoying Preaching Rocket Solomon, well done for taking action. It won’t be long before your congregation notices a considerable difference in your preaching that’s for sure! Good afternoon. After reviewing the pricing plans that are offered, I noticed that the annual plan offers instant access to all modules, while the other two options offer a new module each month. Can you provide some insight on how long it typically takes an average learner to complete each module? Not that I want to rush the training process, but I do find instant access to all modules rather appealing. I do not consider myself to be a pastor but I am very active within the church. I’m often given the opportunity to fill-in for my pastor, as well as other pastors within my community from time to time. I’ve taken a few seminary classes but being a full-time husband and father, and working a full-time secular jobs makes it difficult to attend. I’m always searching for ways to help me with sermon preparation. I really enjoy preaching God’s Word, but my lack of experience in preparing often leaves me feeling stressed out more than anything. Thanks for any insight you are able to offer. Hi David, I commend you for taking the time to invest time and develop your preaching skills. I totally get you with the sermon preparation being stressful! For years I was the same way. I think having a sermon prep system will really help you. The very first module is “Structuring Your Message” with videos and tutorials on how to build your sermon. Once you have a system to follow it becomes a lot less stressful, trust me. So don’t worry about experience, once you get your hands on (and head around!) the Preaching Rocket teaching modules you’ll be great. What most people don’t realise is that as well as the training modules, you get full access to the Preaching Rocket community too. Fellow preachers and church leaders just like you sharing ideas, sermon outlines and giving each other feedback – for me this is precious! To answer your question, the amount of time it takes to go through the modules all depends on how much time the person wants to dedicate to the program. You can go through the whole program in one month if you wanted. You wouldn’t be able to implement everything though. Each module has a video that is on average 25-30 minutes. There’s also worksheets and actions to take after each module. Those could take 1-3 hours depending on the specific module. Hope this helps, let me know how you get on! Thanks for the insightful follow-up. I appreciate you taking the time to address my concerns. I’m looking forward to honing my preaching skills with Preaching Rocket. Don’t mention it David, yeah you’re going to love it and find it really helpful – see you inside the member’s area! 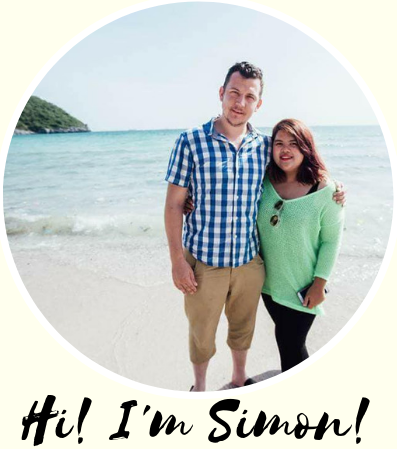 Hi Simon, Is it expositional preaching that they work with you on? 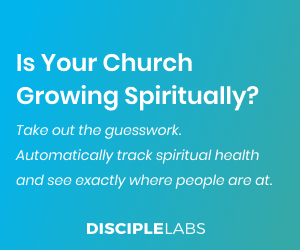 The answer is absolutely yes, as you work through the training modules you’ll learn how to use the Scripture text to create your sermon outlines so in other words: The points of the biblical text become the points of your sermon. I truly believe expositional preaching is the best type of preaching – preaching what the Word of God says rather than using the pick and mix style of preaching to make the Bible say what you want it to say is by far the best way to go. In a practical sense also, using scripture texts to from your sermon outline not only gives you greater confidence knowing your preaching is biblical and on point, it takes the work out for you because if you can learn to work from the text, you’ll find your sermon points and outlines within your chosen scripture itself. I can not recommend Preaching Rocket enough for preachers or aspiring preachers looking to get better at sermon presentation and delivery. Don’t mentioned it David, yeah you’re going to love it – see you inside the member’s area! I would like to thank the whole Preaching Rocket team very much for the wonderful and fantastic work they are doing. We are learning good things from it and it’s been helpful in helping us spread the gospel message across the world for the kingdom of God. Because the Bible says we should preach the gospel. May the Almighty God bless them all. Thanks Adom – it’s great to see your passion for the Great Commission, for getting God’s Word out and for being willing to invest into yourself as a preacher to preach better sermons. I’m so happy you’re having a great experience thus far and are getting a lot from the training. I cannot believe I found your site. I am 4 weeks in to my first pastor gig and it is small church of seniors that is needing help. I have been a youth or associate pastor for 20 years and loved sharing Gods word, especially when I had the opportunity to preach. But speaking to youth is a whole lot easier. This is a skill I am still developing and learning. I am in the hot seat and it takes me a long time to prepare, especially every week. My greatest desire is Gods word reaching the heart of those who come. However, I have a dilemma. I am only part time I have a very limited budget at home. The church can’t afford anything like this. Is there any help available? Congratulations on the new job! Wow that’s quite a shift from young people to seniors that’s for sure and no doubt it comes with a new set of challenges. Stay open to God, adjust your methods and I know you can grow your church. I had a pastor friend of mine in Canada who asked all of the seniors in his church to help him reach their grandkids. They were hesitant and resistant to change at first but that soon changed when their grandchildren started to get on fire for the Lord. With regards to the Preaching Rocket, unfortunately the price is not set by me, but you might benefit from a new program called Preaching Rocket NEXT. Preaching Rocket NEXT is a month to month coaching program that includes a new preaching related resource download each month and a live, one-hour coaching call with one of the Rocket pastor experts such as Jeff Henderson or Ben Crawshaw. Topics include communication, preparation, etc. There are no contracts or long-term payment plans… just simple help for $29/month. This might be a more affordable alternative you could find useful. I would like to receive training on preaching and preaching effectively to Gods people. Thank you for your commitment to investing time into improving as a preacher. There are a few ways you can learn to communicate God’s Word effectively, Preaching Rocket is one of the best ways in my opinion. I don’t preach regularly in our church, maybe four times a year but I really want to develop my preaching gift so i can inspire and encourage others with God’s Word more effectively. I was looking for an online preaching course when I came across this article and I will definitely look at the Preaching Rocket Coaching program and see if it’s something I can use. Thanks Steen, the Preaching Rocket Core Coaching Program really is the best training out there for preachers and speakers. I only ever recommend resources I myself have used personally so I can recommend with confidence – I know for sure this training will revolutionise the way a lot of pastors and church leaders prepare their sermons for the better. Hello I really have passion for preaching and I have been searching for a good place to develop this passion. I am interested in being a member but how can I pay the $99 when am in Africa? Hi Rachael, I love your passion for the Word! Africa needs it! Honestly, the Preaching Rocket Core Coaching has been one of the tools that has helped improve my preaching the most – even more than Bible school, simply because it’s not so much theory but hands-on practical stuff you can implement right away to see significant improvements in your sermon delivery. I believe you can pay via PayPal if that’s the easiest. There are lots of African leaders and preachers within the community! I worked my way through the training each month from the mission field here in Thailand – because it’s online it can be accessed from anywhere in the world. You can never look away from statistics and 90% really caught my eye. I think this program sounds like a great choice! The different coaching and training sounds like it is going to be more than worth my money. Module 5 especially stands out to me. Thank you so much for guiding me to this training. To be honest I’ve not seen any preaching program that even comes close to this and that’s why I’ve rated it so highly – sure you can read books about preaching, subscribe to blogs about preaching and listen to sermons online but to actually get personalised coaching form some of the top communicators is something completely different. Module 5 is my favourite too – my main focus when I’m preaching is that 18 year old who came to give church ‘one last try’, or the single mum who was invited by a friend to see what church was all about – for most of these people you might only get one chance so making the most if it is CRUCIAL. I’m newly ordained, would like to be trained in preaching the Word and how to prepare. I’ve found this page interesting and helpful. Thank you. This is very interesting and I like the way you broke everything down and really explained it. Although I am not a pastor I do try to witness the good word of salvation and the importance of believing in the death and Resurrection of Jesus. Is this a program just for pastors or can someone who could use a little help witnessing to others use it also? Modules 5 & 9 go into a lot of depth about talking with unchurched people in a relateable way, holding their interest and keeping them engaged. The core coaching program would benefit not just senior pastors with their Sunday morning sermons but anyone who teaches, trains, leads a small a group of in one to one conversations with people. Preaching Rocket will definitely help you communicate better and be more effective at personal evangelism. I just finished reading your post about church leaders being readers and learners. I completely agree with you. We all have our hidden blind spots, areas of weaknesses we need to develop and improve. Actively working on self-development in whatever area, preaching, leadership, people skills, admin skills etc. only serves to better us and those around us. Preaching Rocket is a brilliant example of the resources we have available through the online space and I have the second the point you made about applying what we’re learning – it’s only that which we take and implement which makes the difference. It takes time and effort (and yes, money too!) to work on yourself but whatever you invest now will always come back to you 100 fold. My aim is to help as many pastors and leaders as possible by giving ideas, tutorials, training and information. As I see it, if a pastor reads something here on the blog and it helps spark even just one idea that he can then take away and take his church forward with, then my job is done! And I totally agree with you, there are ALWAYS better, more efficient, more effective ways of doing things. Too often as leaders we struggle in our own little islands somewhere and try and reinvent the wheel. What if we could share ideas and give feedback and generate discussion together? Surely that would be a far better way of doing things? That’s why I love The Rocket Company and Preaching Rocket – because we can learn from one another (and learn from the best!) about how to improve what we do so we can grow as people, grow the church and grow in influence to expand God’s kingdom here and now. At the end of the day that’s what it’s all about!